Fluotics manufactures a complete selection of automation tips for Agilent™ Bravo and Agilent VPrep liquid handlers. Our automation tips are directly interchangeable with their Agilent automation tip counterpart. For further information, please visit our Resources page where you can find our complete Product Catalog, an Instrument Compatibility Chart, and Product Specifications for choosing the right tip for your Agilent Bravo or VPrep. Fluotics offers a complete selection of Agilent Bravo and Agilent VPrep compatible robotic pipette tips. Available in a variety of tip volumes, with or without filters, for Agilent liquid handling workstations. 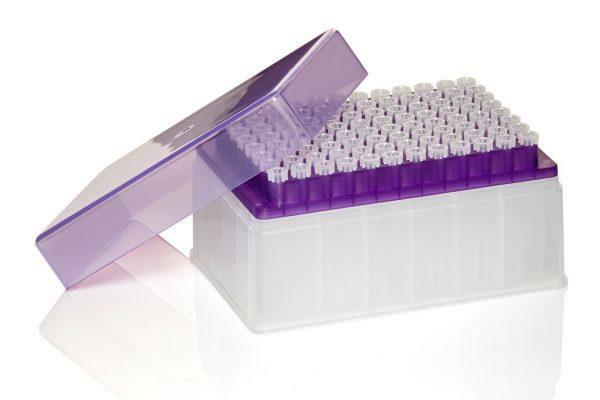 Our pipette tips encompass both 96 and 384 well formats, giving you the flexibility to access plate densities ranging from 96 to 1536 wells. In addition, with the Agilent Bravo Head Mode, selective well pipetting using single tips, partial/full rows/columns, or discrete blocks of tips is possible with Fluotics’ Agilent Bravo compatible tips. Fluotics designs its Agilent automation tips for maximum compatibility with the Agilent Bravo and Agilent VPrep robotic liquid handlers. We expect our Agilent Bravo and VPrep compatible pipet tips to be directly interchangeable with the original Agilent Bravo or VPrep pipet tip. A separate labware definition is not necessary when using our Agilent Bravo and Agilent VPrep compatible automation tips. Similarly, the end user does not need to modify their existing VWorks™ automation control software protocols. * For the best sub-microliter pipetting performance (to ~ 0.25 µL) we recommend the Agilent Bravo P10 pipette tip size. ** The Agilent Bravo P30 pipette tip size has excellent sub-microliter performances but can address a wider range of labware that the Agilent P10 pipette tip size cannot. *** The Agilent Bravo P70 pipette tip size offers the largest volume range in 384 format. **** The Agilent Bravo P250 pipette tip size is the standard tip type for the 96LT multi-channel head. Our goal is complete assurance and confidence in the quality of Fluotics’ Agilent Bravo and VPrep compatible automation tips. Fluotics produces its Agilent Bravo and Agilent VPrep compatible automation tips from the highest grade virgin polypropylene available. 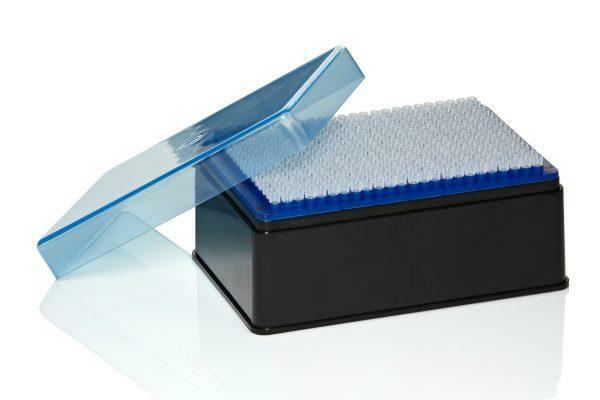 We use ultra-polishing techniques with our pipet tips to ensure low liquid retention without the use of releasing agents or other additives which have been shown to be problematic in certain assays (John Watson et al., 2009). Furthermore, our 384 format Agilent Bravo and Agilent VPrep compatible tip boxes are produced from a conductive carbon impregnated polypropylene polymer to dissipate any static buildup. From simple liquid transfers to complex multi-step assay protocols, Fluotics’ Agilent Bravo and VPrep compatible robotic tips are used in an array of liquid handling protocols. Our automation tips are used daily worldwide by scientists to perform compound management, lead discovery, assay development, next generation sequencing (NGS), and other important functions.